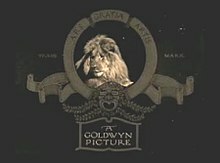 Metro-Goldwyn-Mayer Studios, Inc. (an aa kent as Metro-Goldwyn-Mayer Pictures, Metro-Goldwyn-Mayer, or simply MGM) is an American media company, involved primarily in the production an distribution o films an televeesion programs. associatit wi Warner Bros. Pictures an Universal Studios. ↑ "MGM Studios: Corporate Info". Retrieved December 20, 2010. ↑ Finke, Nikki (2 February 2011). "Jonathan Glickman Named MGM Film Prez". Deadline.com. Retrieved 2013-09-20. This page wis last eeditit on 9 Mairch 2018, at 08:10.